Homecoming is every five years for Okinawans who live all over the world. 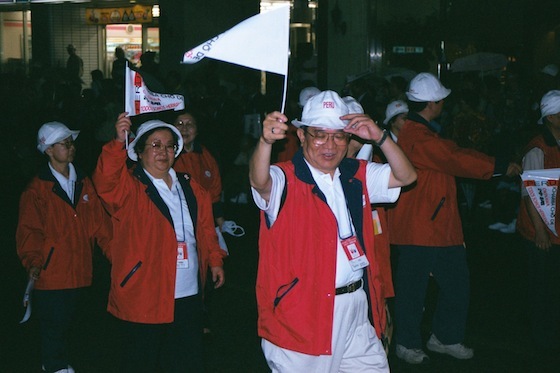 Okinawa, the southernmost prefecture of Japan, holds an unforgettable five-day party known as the Worldwide Uchinanchu Festival to welcome home its vast diaspora. This year marks the fifth such celebration, and it will be held from October 12 through 16. Okinawan emigration began in 1900, when a handful of people left to labor in the sugarcane fields of Hawaii. 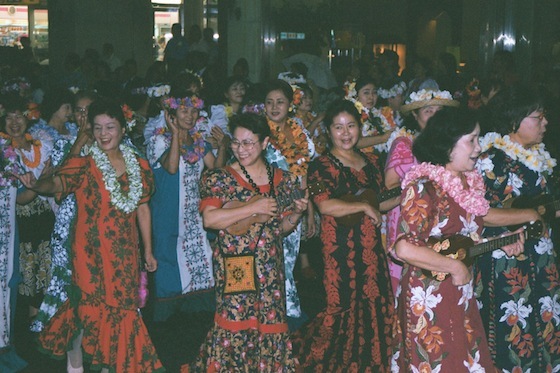 Gradually, more Okinawans settled in South America and North America. Today, there are approximately 300,000 “Uchinanchu” – people of Okinawan decent – living around the world. 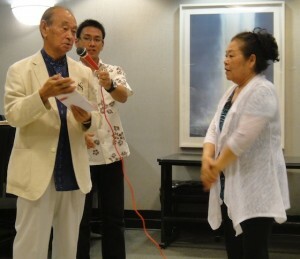 Hirokazu Nakaima, the governor of Okinawa, visited the Okinawa American Association of New York (OAANY) in early June to encourage as many people as possible to experience the Worldwide Uchinanchu Festival, which celebrates traditional Okinawan history and culture as well as the cultures of Uchinanchu’s global network. 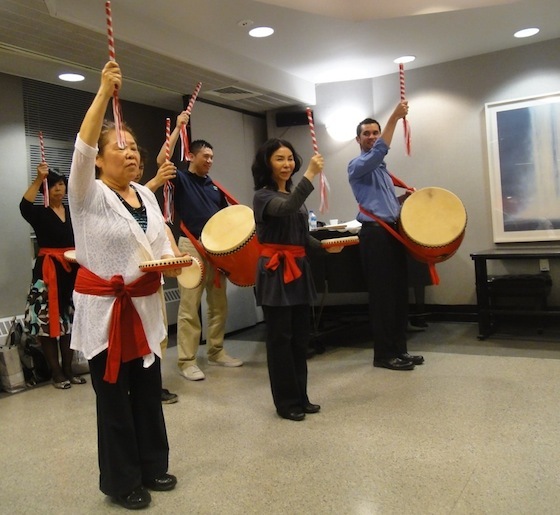 New York-area Uchinanchu are planning to make a pilgrimage to their homeland and to participate in the festival’s cultural and educational exchanges. OAANY president Teiko Yonaha-Tursi says making the long journey to Okinawa is essential to reconnecting to the culture as well as introducing it to younger generations. “Many Uchinanchu are going through a changing generation,” says Yonaha-Tursi, referring to what she calls katoki, or transition period. “The first generation going to the second generation going to the third have different ideas about Okinawan culture,” says Yonaha-Tursi. With distance and worldwide societal changes, Yonaha-Tursi fears that “the value of the Okinawan way is getting watered down.” To Yonaha-Tursi, the Worldwide Uchinanchu Festival is a terrific way to bring descendents scattered across the globe in one place to appreciate Okinawa. Yonaha-Tursi says that cultural DNA, no matter how dormant, will be stirred by the homecoming. “If that person doesn’t experience passion after attending the Uchinanchu festival, then I don’t know what to say,” says Yonaha-Tursi. What exactly happens during the Worldwide Uchinanchu Festival? 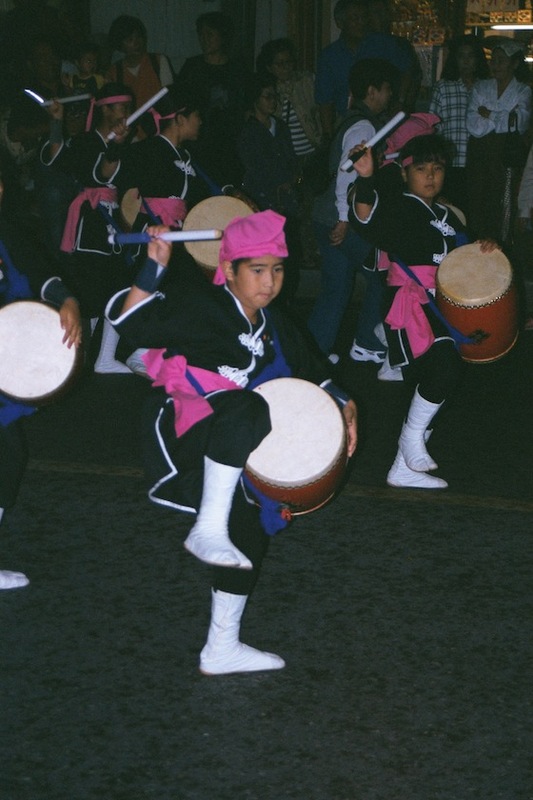 The welcoming parade showcases all of the countries that have Okinawan residents. There will be dance, eisa (traditional drumming), and karate performances, as well as sports competitions. Visitors will see exhibitions and attend symposia about Okinawa’s global network. In addition to coordinating the New York Okinawa Kenjin-Kai’s (prefectural association) participation in the opening parade, Yonaha-Tursi is also leading a group of around ten OAANY members in the Worldwide Eisa Festival on October 15 and 16. Parties interested in attending the Worldwide Uchinanchu Festival should make their own travel arrangements. Yonaha-Tursi recommends going through Japanese travel company IACE Travel for flights and group rates at hotels in Naha. When choosing your departure date, Yonaha-Tursi advises that you pay close attention to the time difference between New York and Japan – Japan is 13 hours ahead – and keep in mind that it takes a full day to travel. Because Yonaha-Tursi is keeping a head count of who is going as part of the New York contingent, please e-mail her at teiko10@verizon.net when your plans are set. Include the names, dates of birth, contact information, and itineraries of everyone in your travel party. For more information about the 5th Worldwide Uchinanchu Festival, visit www.wuf5th.com. The website is in Japanese, English, Spanish, and Portuguese.